Offer Wall - Monetize Your Apps, Games, Virtual Currency, & More! AdWork Media's Offer Wall monetization tool fully supports mobile and desktop traffic from any device! Offer Walls are a great solution for monetizing your user base without directly charging the user, resulting in higher user-engagement and greater profits for your traffic! Our Offer Walls are desktop and mobile-friendly and support over 200 countries. They can easily integrate with your site or app! AdWork Media's Offer Wall platform allows you to sell digital goods or enable your users to unlock rewards, upgrades, premium content, & more on your site, game, or app! Fully monetize your content by allowing users to earn upgrades and unlock premium content by interacting with our Offer Wall. 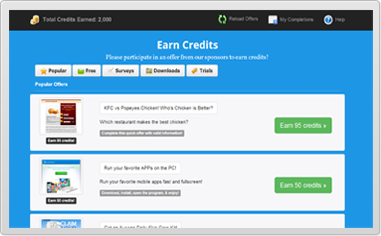 Earn anywhere from $0.20 to over $20.00 per valid completion by your users. Our Offer Wall tools have been thoroughly tested to maximize the user experience! Integration is fast & easy! Maximize your Content's Revenue with Coverage for over 250 Countries! We work directly with hundreds of advertisers to obtain the best rates for the industry's top performing offers. Offers are displayed to your users based on our proven targeting algorithm that displays our network's best converting offers. Our Offer Walls can easily integrate into your site or app with a simple iframe or by directly linking to a unique short URL. Our support team is available 7 days per week to assist you with the integration process. Your app/web service will receive real-time conversion notices including conversion details such as the IP address. You can also pass tracking variables such as user IDs, etc. Sample integration code is available. Monetize traffic from all devices including mobile and tablet users! Our Offer Walls automatically display mobile-friendly campaigns through a mobile optimized platform when a user connects on a mobile device. What Can I Monetize with My Offer Wall? Do you have a game, site, or app? Do you have premium content or digital goods? AdWork Media's Offer Wall platform can seamlessly integrate with your app, game, or site to be the perfect monetization solution for your traffic! You can easily monetize upgrades, unlockable features, virtual currency, points/credits, and much more. Offer Walls boost user engagement since content providers do not need to directly charge their users for premium content. 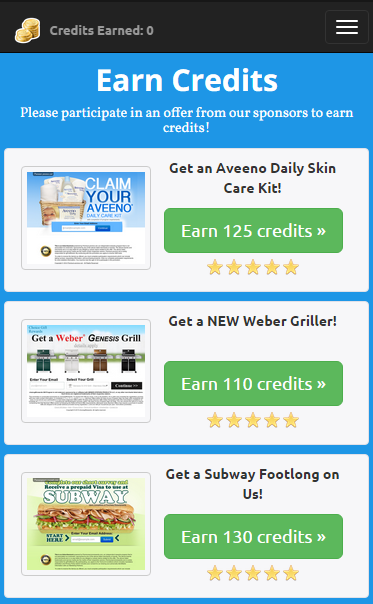 Can I Customize My Offer Wall? Yes! You have full control over the theme, monetization settings, text, and many other options so our platform can be tailored exactly to your needs. If any custom settings need to be added please contact us and we will be happy to add those new features. Please submit a Publisher application and we'll get your account processed as soon as possible. If you need help integrating your Offer Wall after signing up please feel free to contact our support team.